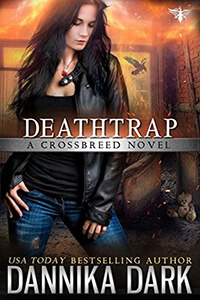 In Deathtrap, Raven and the Keystone crew are working a case involving selling children on the black market. It kind of made me think a bit about the Mageri series where this is mentioned. Keystone works to find a very cunning dealer in some very dangerous places. Raven is still concerned about leaving her past behind. She wavers back and forth on her plan to have a final meeting before closing the door. She sees how the past is coming back to bite others and doesn’t want that to happen to her. The path to catching the bad guy selling children had my adrenaline pumped. Nothing could go smooth no matter which way they turn and booby traps are just part of the problem. We see a whole new world open up that we didn’t know about. 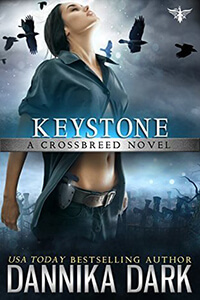 We also get to learn more about the members of Keystone and I am really growing attached to each of them. We get a little more romance in Deathtrap. Enough to keep me on the edge of my seat just dying to know how far things were going to go! I absolutely ADORE Christian. His character makes me laugh at almost every comment he makes. 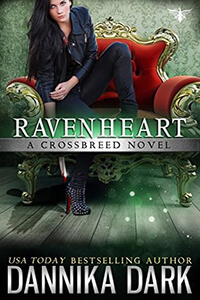 The pull between Raven and Christian is strong, but they are both hesitant, even though Christian does display some protective tendencies towards Raven. The ending with these two… just amazing. I love the way this is headed. 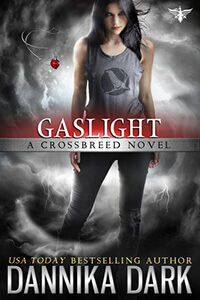 The deeper I get into the Crossbreed series, the more I love it. Raven, Christian, the side characters and the adventures keep me entertained and even holding my breath in places. The narration by Nicole Poole enhances those feelings. She brings out the emotions of the characters so well. I can’t say enough good things about this book, series, author or narrator. I definitely recommend this series!